Consumers are strange folks. Particularly car buyers. And major manufacturers are strange folks too...but they know a thing or two about selling junk to people. Sometimes, it doesn't matter if what you are selling is horrible, as long as you give people the opportunity to accidentally stumble into your store -- just look at how many Chase Banks, CVS/Pharmacys, Burger King, and Starbucks that you've got to drive past to get a quality bank/pharmacy/burger/coffee. There was a time when auto dealers used that same technique to keep long obsolete brands like Plymouth, Mercury, Oldsmobile, and Saturn alive and churning cash, but the 2007 carpocalypse murdered them and NOW the remaining auto brands are using a similar technique with the dreaded SUV. Fill enough Toyota showrooms with RAV4s and shockingly the little SUV beat the Camry in sales to everyday Joes in America least year, even though the Camry is a more usable/driveable car appliance for the masses, and presto "the SUV kills the car". But there was a time when to drive an SUV you had to have good reason, like a long dirt road commute, a wealthy summer house in the Hamptons or, in the case of this next car, you were an Italian mobster on the move. 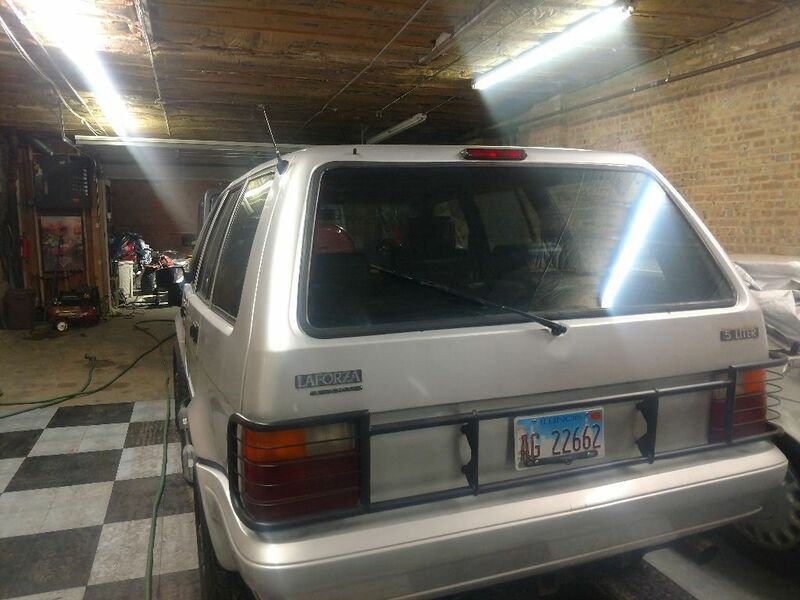 Find this 1989 LaForza here on eBay offered for $6999 buy-it-now or make-offer located in Chicago, IL. 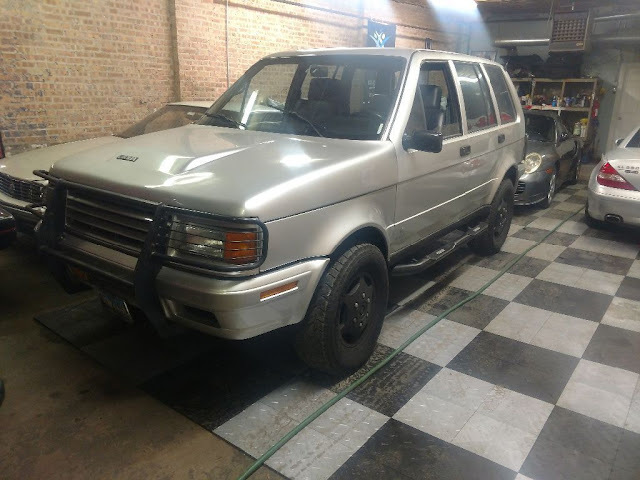 Rare find and a well maintained Laforza. Runs well with no issues. I have owned this unique car for two years and have enjoyed it thoroughly. It has been fun owning and maintaining but it is time to think the herd of vehicles. Like my other toys it has been kept in a temperature controlled garage and kept out of the elements. No rust etc. Flowmaster Dual Exhaust and Kenwood Bluetooth stereo are new (January 2017) and the tires and brakes are great. Also has a cool push button start. LaForza is an Italian SUV spending 9 hours on the same Pinninfarina line that the Ferrari Testarossa is painted on. Imported to the US, the LaForza uses an American Ford 5.09 liter engine and a Chrysler four-wheel drive system. The chasis is Iveco 40-10 Military 4X4 Truck with a leather interior and an 18 gauge all steel body. Why do when you can over-do!! !